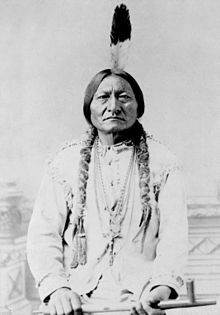 The Sioux /ˈsuː/ are a Native American tribe an First Naiions baund govrenment in North Americae. ↑ Tina Norris; Paula L. Vines; Elizabeth M. Hoeffel (January 2012). "The American Indian and Alaska Native Population: 2010" (PDF). United States Census Bureau. United States Department of Commerce. Retrieved 9 September 2012. This page wis last eeditit on 27 August 2015, at 22:37.